This webcast, from the wonderful SciShow, explores how we discovered fluoride helps prevent tooth decay and how we then used that knowledge and finally discovered why it worked. I love stories of how we learn for observing what is happening. We don’t always need to innovate by thinking up creative new ideas. If we are observant we can pick up anomalies and then examine the situation to find possible explanations and then experiment to see if those explanations prove true. When working this way we often are seeing correlation and then trying to figure out which part of the correlation is an actual cause. So in this dental example, a dentist noticed his patients had bad brown stains on their teeth than others populations did. After investigation the natural fluoridation of the water in Colorado Springs, Colorado, USA seemed like it might be an explanation (though they didn’t understand the chemistry that would cause that result). They also explored the sense that the discolored teeth were resistant to decay. Even without knowing why it is possible to test if the conditions are the cause. Scientists discovered by reducing the level of fluoridation in the water the ugly brown stains could be eliminated (these stains took a long time to develop and didn’t develop in adults). Eventually scientists ran an experiment in Grand Rapids, Michigan and found fluoridation of the water achieved amazing results for dental health. The practice of fluoridation was then adopted widely and resulted in greatly improved dental health. In 1901, Frederick McKay, a recent dental school graduate, opened a dental practice in Colorado Springs, Colorado. He was interested in what he saw and sought out other dentists to explore the situation with him but had little success. In 1909, he found some success when renowned dental researcher Dr. G.V. Black collaborate with him. Dr. H. Trendley Dean, head of the Dental Hygiene Unit at the National Institute of Health built on their work when he began investigating the epidemiology of fluorosis in 1931. It wasn’t until 1945 that the Grand Rapids test started. Science can take a long time to move forward. Only later did scientists unravel why this worked. The fluoride reacts to create a stronger enamel than if the fluoride is not present. Which results in the enamal being less easily dissolved by bacteria. Health tip: use a dental stimudent (dental picks) or floss your teeth to maintain healthy gums and prevent tooth decay. It makes a big difference. Related: Why does orange juice taste so bad after brushing your teeth? – Microbiologist Develops Mouthwash That Targets Only Harmful Cavity Causing Bacteria – Using Nanocomposites to Improve Dental Filling Performance – Finding a Dentist in Chiang Mai, Thailand – False Teeth For Cats – Why Does Hair Turn Grey as We Age? Nautilus Live provides a live view of the E/V Nautilus as it explores the ocean studying biology, geology, archeology, and more. The site also includes highlights such as this video of a siphonophore. Siphonophores are actually made up of numerous animals even though they look like one animal. These amazing colonial organisms are made up up many smaller animals called zooids, and can be found floating around the pelagic zone in ocean basins. The Portugese Man O’ War is a famous siphonophore. Each zooid is an individual, but their integration with each other is so strong, the colony attains the character of one large organism. Indeed, most of the zooids are so specialized, they lack the ability to survive on their own. As I have posted before I really love appropriate technology solutions that make a difference in people’s lives. And those that help those that have the largest challenges (the very poor where even water and electricity are challenges). hello wello from wello on Vimeo. Wello is a venture to improve people’s lives, they found women spend over 25% of their time each day collecting water. With the WaterWheel, they can now transport 50 liters at once – between 3 and 5 times the amount of water possible as compared to traditional methods: this means more water in less time. Research shows that when women have extra time, they choose to spend it on activities that boost family income, education, health, and wellbeing. Can You Effectively Burn Calories by Drinking Cold Water? Wanna lose 1200 Calories a month? Drink a liter of ice water a day. You burn the energy just raising the water to body temp. What if your body is trying to cool down? I would imagine we have to use energy to cool off (though I am no expert on this)? So if you drink cold water and your body has less need to cool off, couldn’t this actually end up “saving” your body needing to burn calories – and thus cause yourself to gain weight? This model would be similar to a server room that was cooled with air conditioning and cold winter air to cool off the servers. If there was less cold air used then more electricity would be used running the air conditioner to cool down the servers. I don’t know if it is a decent analogy though – maybe that isn’t an usable model for how we cool off. I know we cool off partially by pushing water out onto the exterior of our skin to have it evaporate and cool us off. I would think that takes energy to do. I do get that it takes energy to raise the temperature of the water you consume. It does make sense to me that if you were cold (like say I was during the winter living in the house I grew up in) you would use energy raising the temperature of the water. What the overall energy situation is if your body needs to cool down seems questionable to me. Please let me know your thoughts. In any event his statement is accurate. 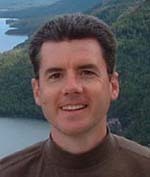 It is just that the implication may lead people astray; that you can consume 1,200 Calories extra to balance the 1,200 Calories drinking cold water uses (or loss weight by having reduced your excess Calories by 1,200 if you eat exactly the same things you would without the cold water). Infographic by Tablet. Falling on ice leads to many injuries and even 60 deaths a year in the USA (about the number that will die due to tornados). The graphic encourages thinking like a penguin. 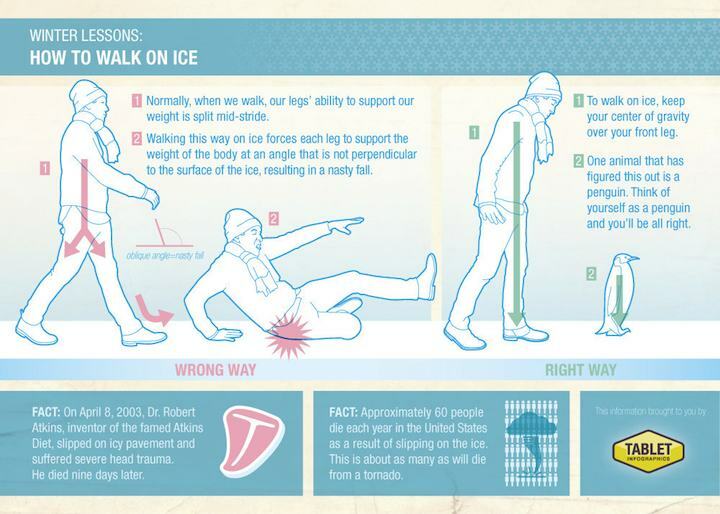 Penguins walk well on ice (in some ways) and they also fall well. Seeking to keep your weight well supported (short strides) is wise (and sliding instead of picking up your feet can help). Falling well is also important. It is basic physics, you want to lower your center of gravity if you are start to slip and avoid any excessive force (so sliding is better than trying to stick out your hand and support all your weight). The elderly are especially susceptible to injuries – avoiding taking direct shocks to the wrist, knees or hips is wise). It does seem kind of silly to learn how to fall but it is very helpful in avoiding injuries. On sidewalks if you are going to fall and there is snow piled up off the sidewalk, falling into the pile of snow may well be softer than falling directly onto the sidewalk. On ice you have lower friction so strategies that require friction are not useful – quick moves often rely on very sturdy bases (which are based on the friction of our shoe on for example concrete [which normally is good – though business shoes are not very good] and on ice [where it is very poor – sliding and gradual moves are better]). Yesterday afternoon I spotted this odd, colorful, spectrum seemingly in a cloud in Johor Bahru, Malaysia. The colors are similar to a rainbow but the prism effect takes on a bit different form than a rainbow as I learned with a bit of searching online. I added a short post to this blog, about the phenomenon a few years ago. 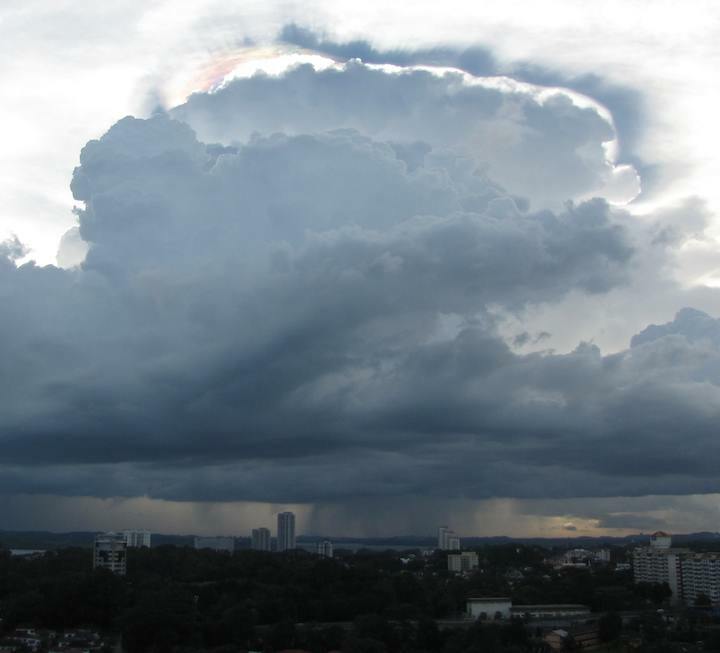 Johor Bahru under a large cloud which is topped with a fire rainbow. A circumhorizontal arc is an optical phenomenon – an ice-halo formed by plate-shaped ice crystals in high level cirrus clouds. 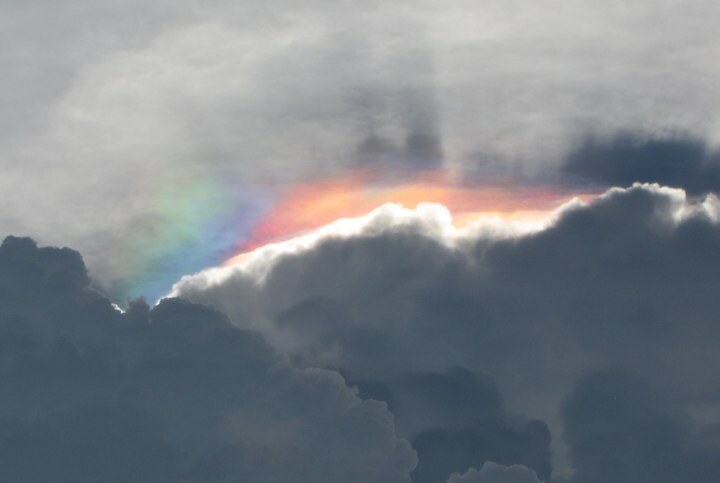 They are also known as “fire rainbows,” if the cloud is at the right angle to the sun, the crystals will refract the sunlight just as when rainbow is created. Deepika Kurup, a 14-year-old New York student, won the Discovery Education 3M Young Scientist Challenge for her invention of a solar-powered water jug that changes dirty water into purified drinking water. She won the top prize of $25,000. I am thankful we have kids like this to create solutions for us that will make the world a better place. We rely on hundreds of thousands of such people to use science and engineering methods to benefit society. TED education is providing access to really interesting education material. In this webcast learn about fertilization, development and growth in the ocean depths.